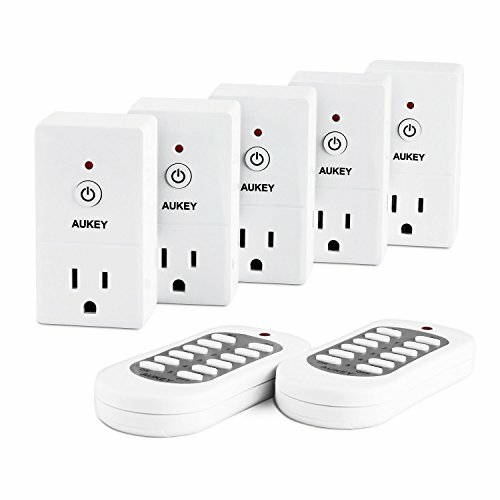 Wireless Remote Control Power Outlets for Household Appliances (Battery Included) by AUKEY..
One universal controller to remotely switch outlets in your house on and off Strong RF signal that offers greater range through doors, rooms and walls up to 100 ft. Built in safeguards to protect your devices against excessive current and overheating..
Take control of household electronics and reduce energy consumption. Package Contents: 5 AUKEY Wall Outlets, 2 Remote Controls, User Manual..